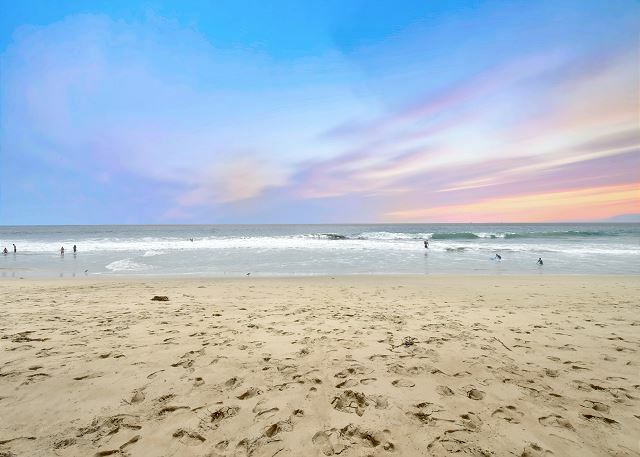 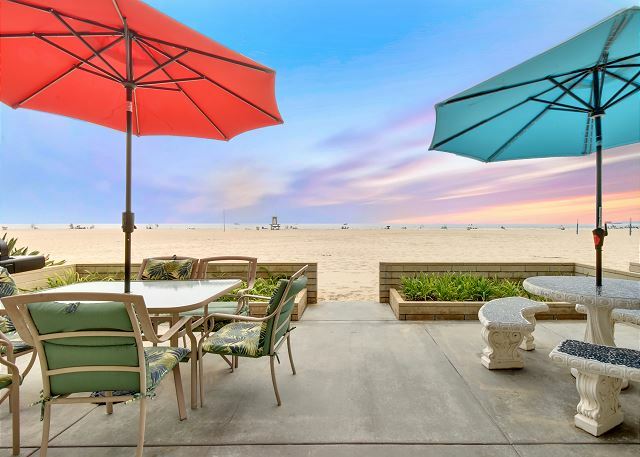 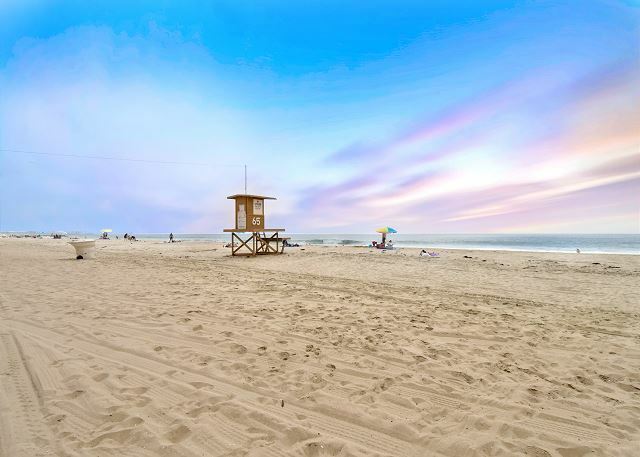 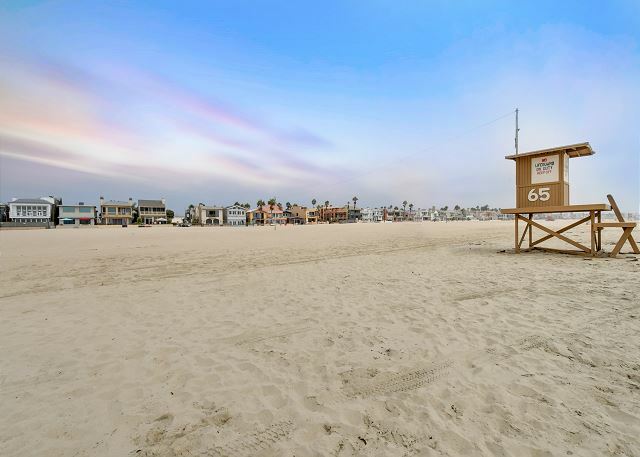 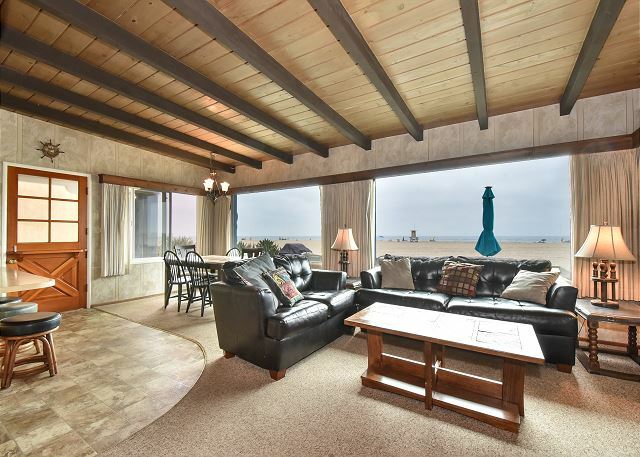 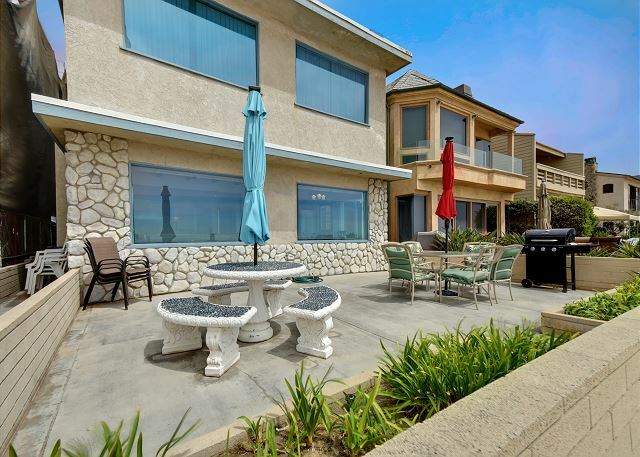 Large Oceanfront Single Family Home with Giant Patio on the Sand! 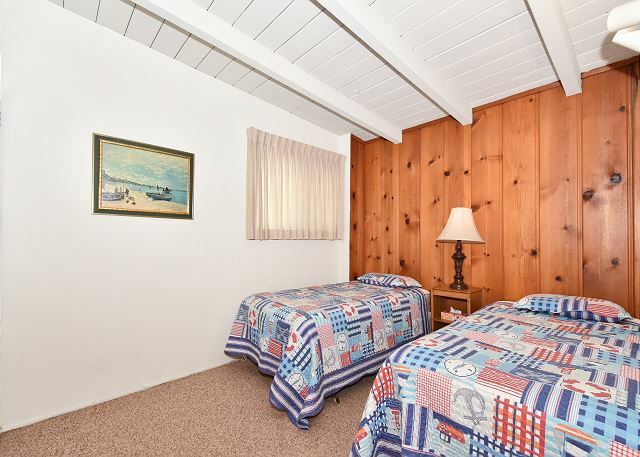 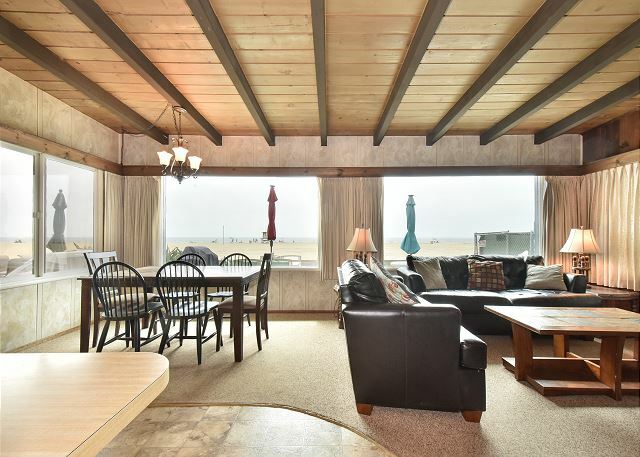 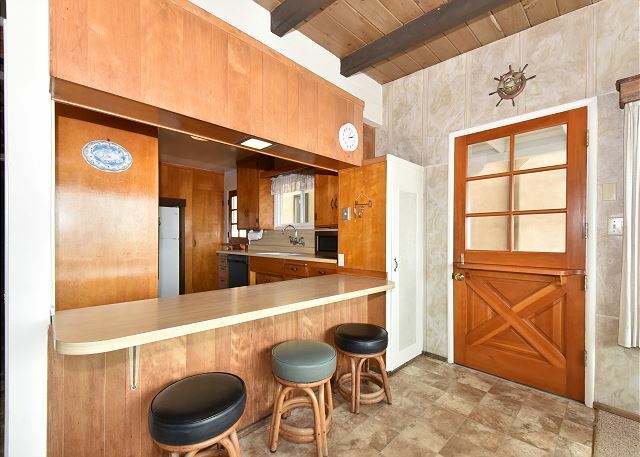 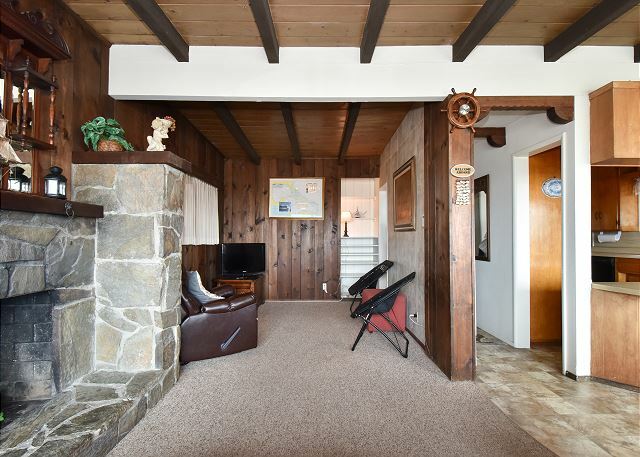 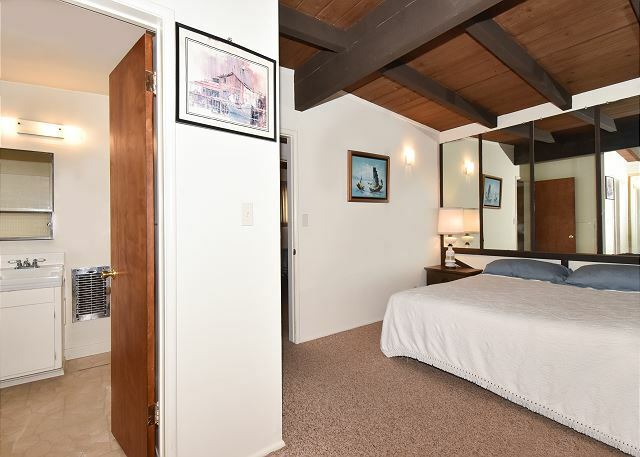 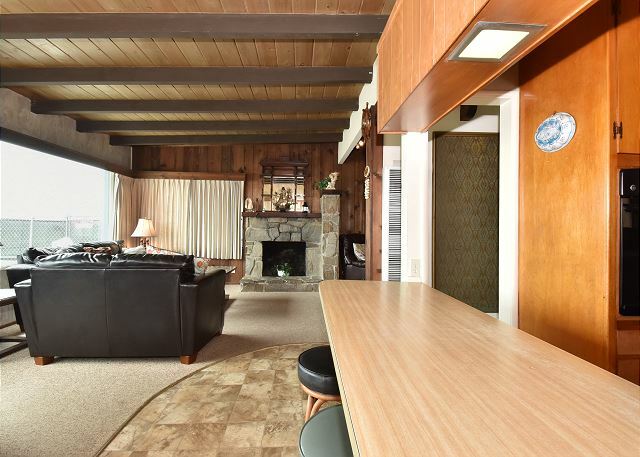 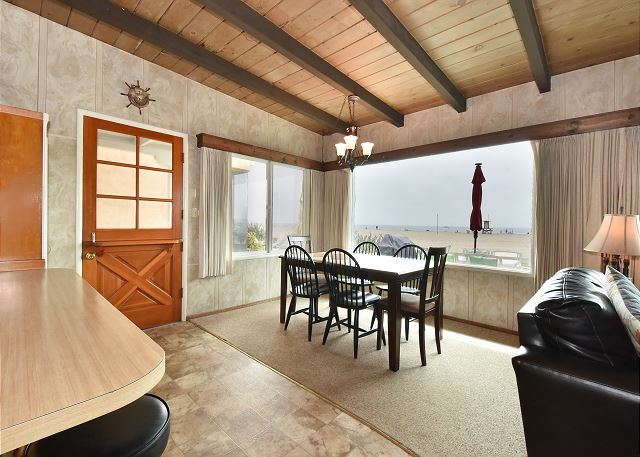 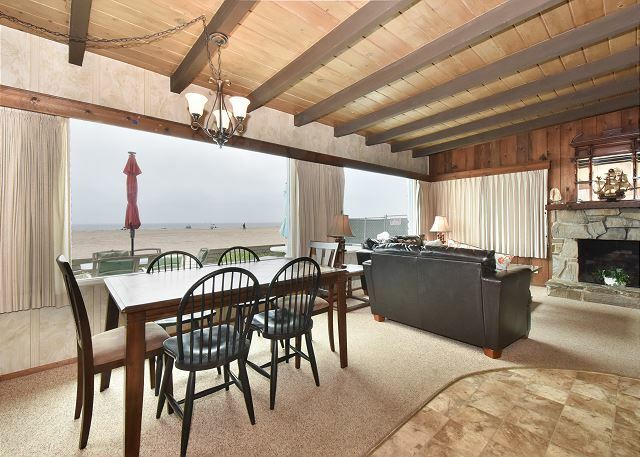 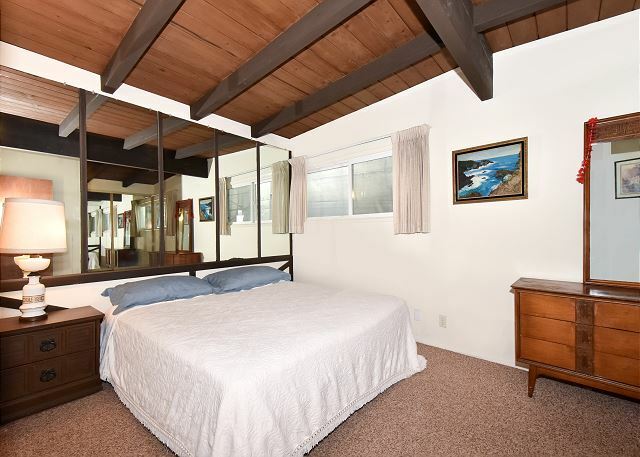 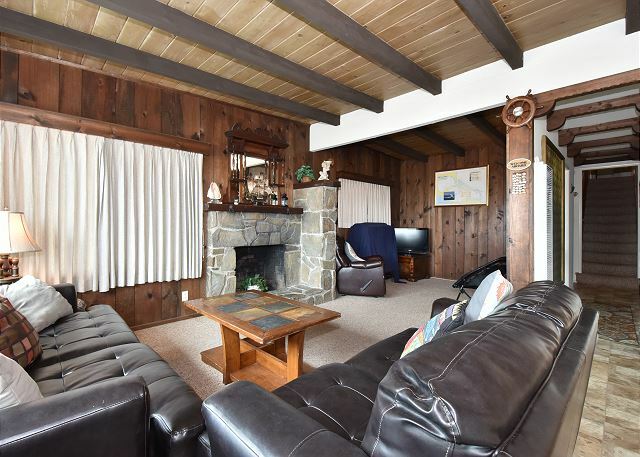 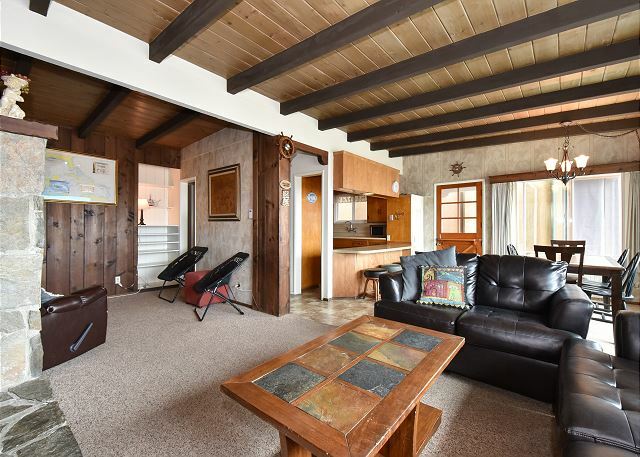 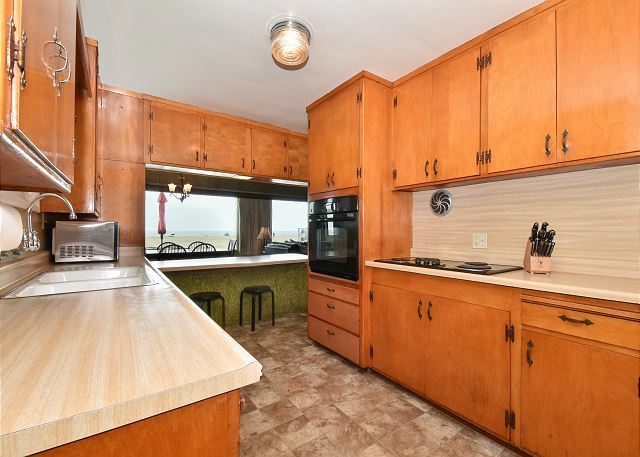 Enjoy a comfortable and welcoming vacation in this vintage, oceanfront home with three bedrooms and two 3/4 bathrooms. 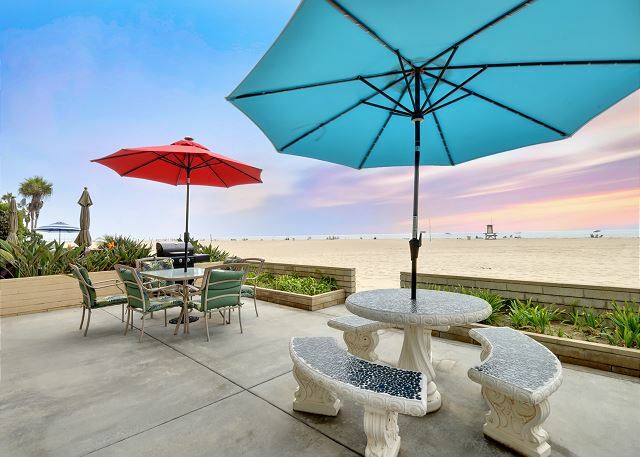 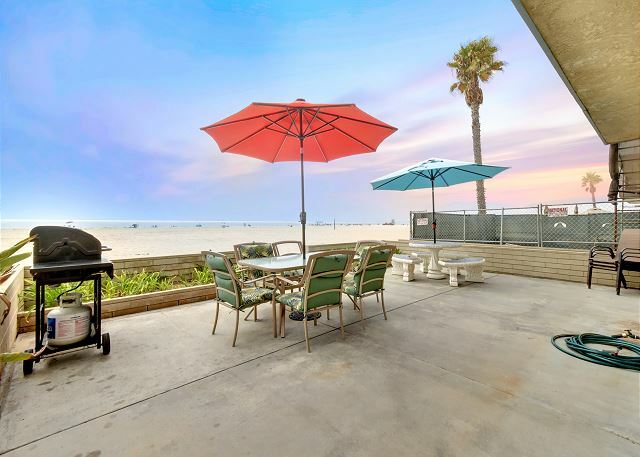 This welcoming 2 story vacation home is located in the peaceful part of upper west Newport and features a giant patio on the sand where you can relax and enjoy the cool breeze with a cup of coffee in the morning or BBQ and entertain family and friends with stunning views of the ocean in the evening. 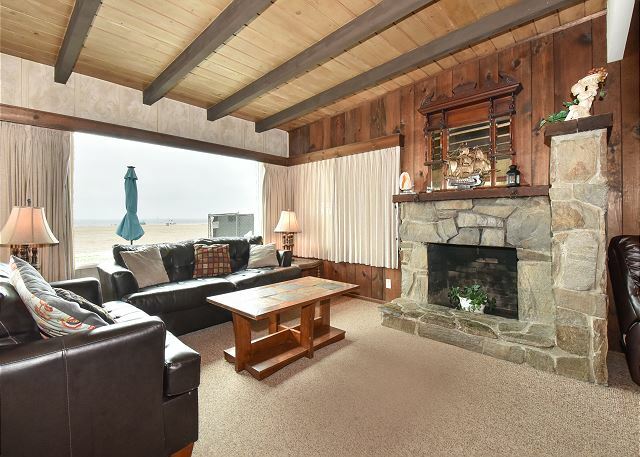 The home welcomes you inside with a vintage style and wood trimmings that really embrace an old-style beach house feel. 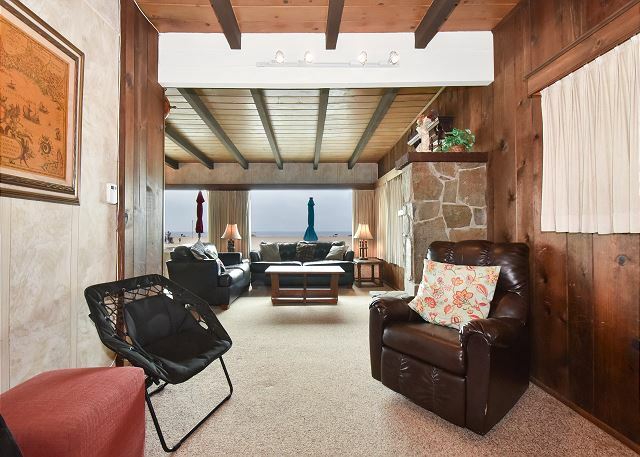 The living room includes comfortable leather couches and a flat screen TV with high-speed wireless internet. 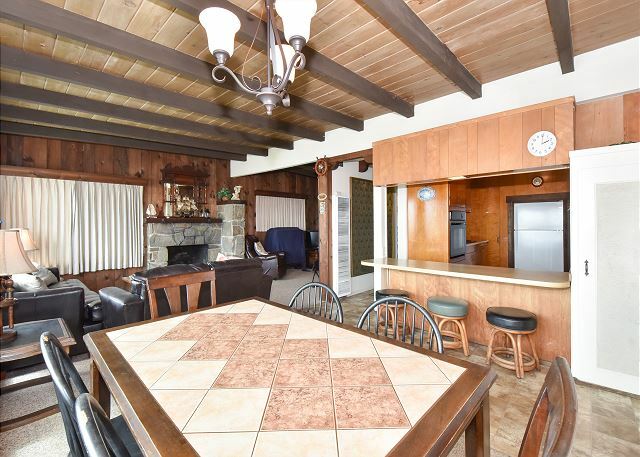 As you walk into the kitchen area, a lovely dining room table along with a breakfast bar invites you to enjoy a meal or relax with a drink. 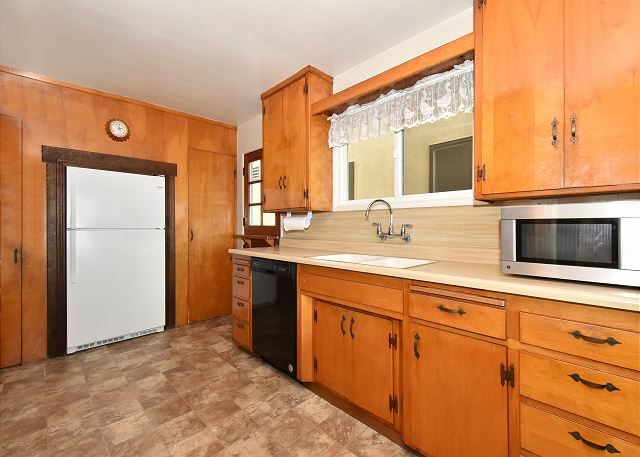 The kitchen stands out with wooden cabinets, a dishwasher and is fully equipped with everything you need to cook a gourmet dinner. 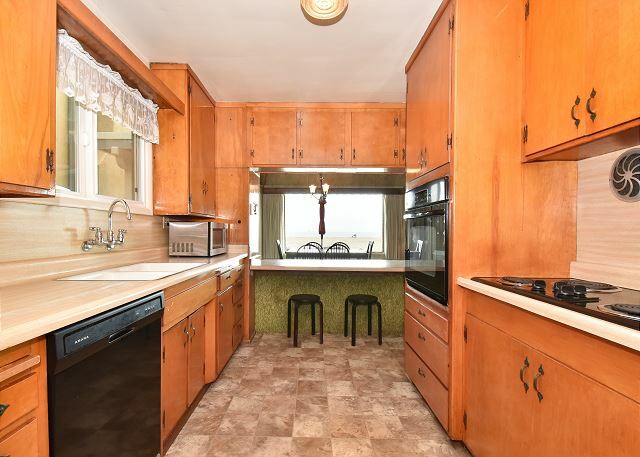 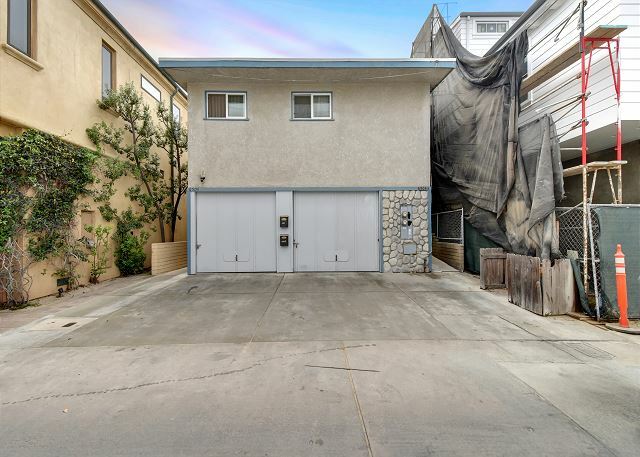 There is an extra refrigerator in the oversized single car garage along with an added parking space in front of the garage. 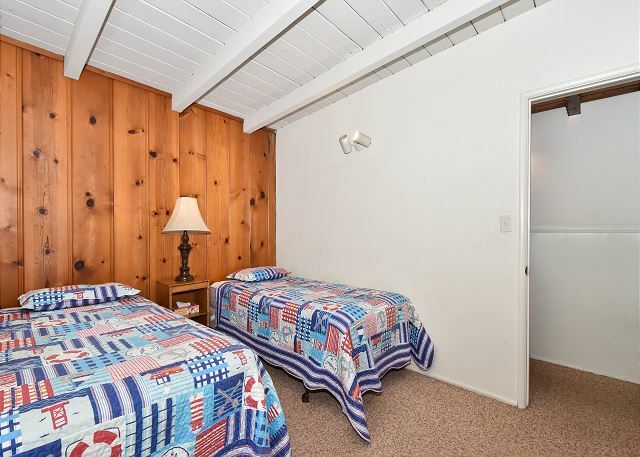 As you walk upstairs you are greeted by one of three bedrooms with two twin beds perfect for kids. 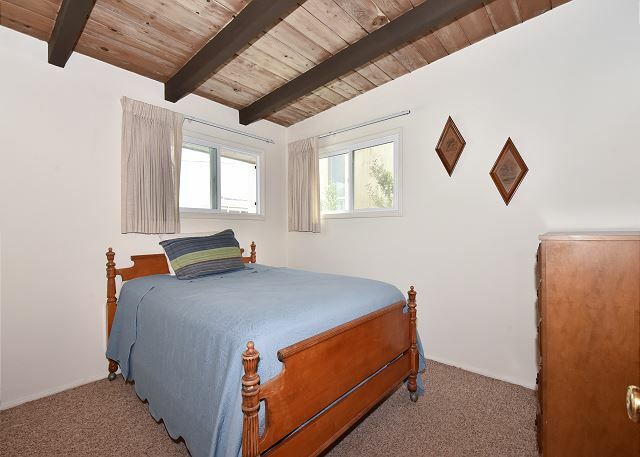 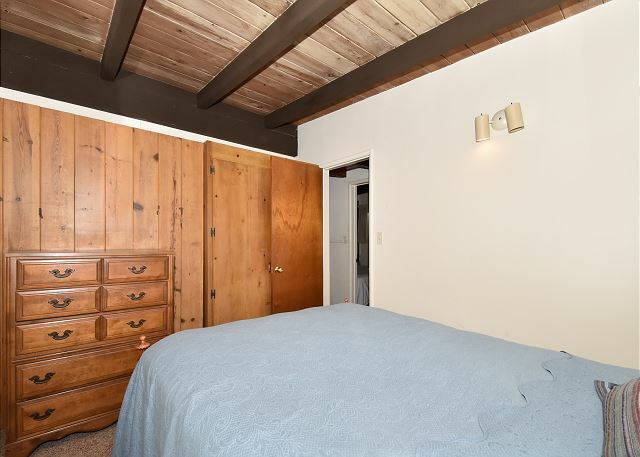 The master bedroom features a king bed and plenty of closet space as well as an attached bathroom with a bathtub however, no shower. 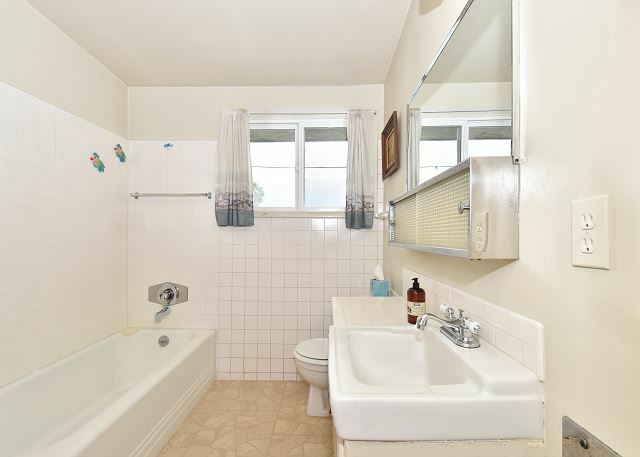 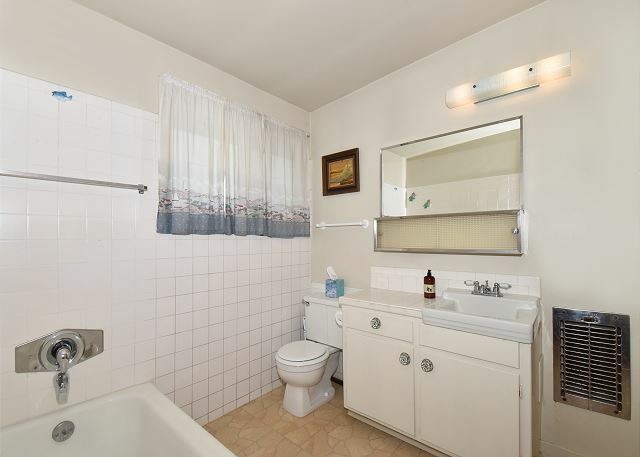 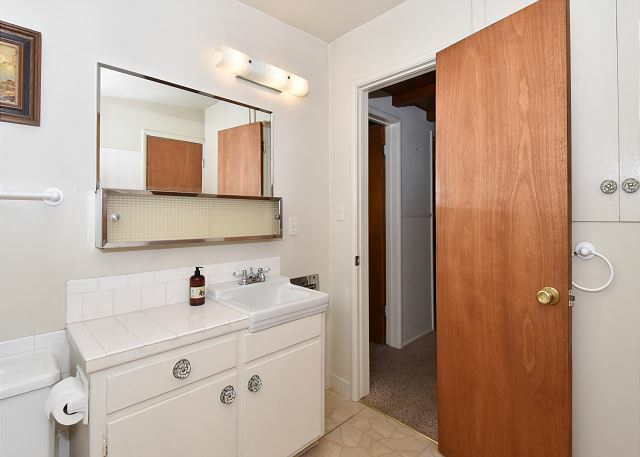 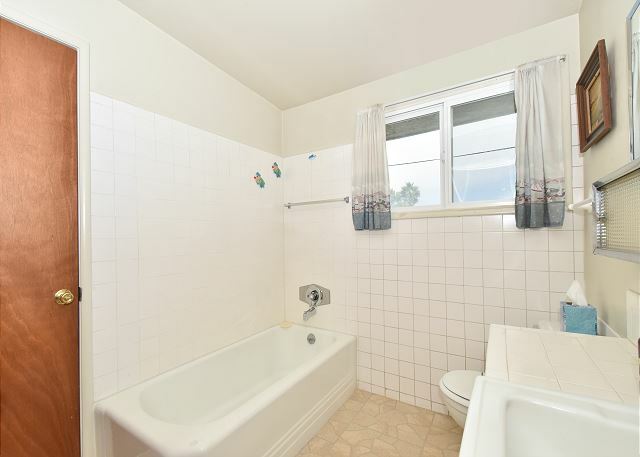 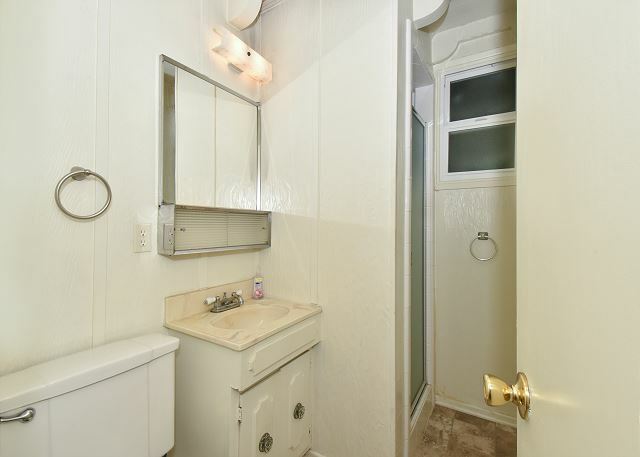 The second bathroom located downstairs is a shower only. 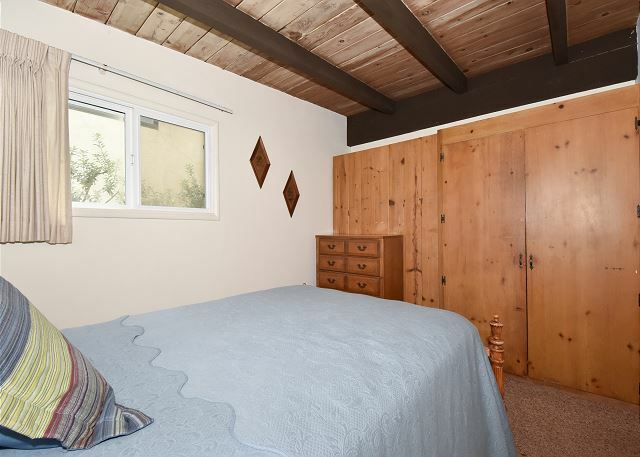 The last of the bedrooms is equipped with a full-sized bed and enough closet space for your guests. 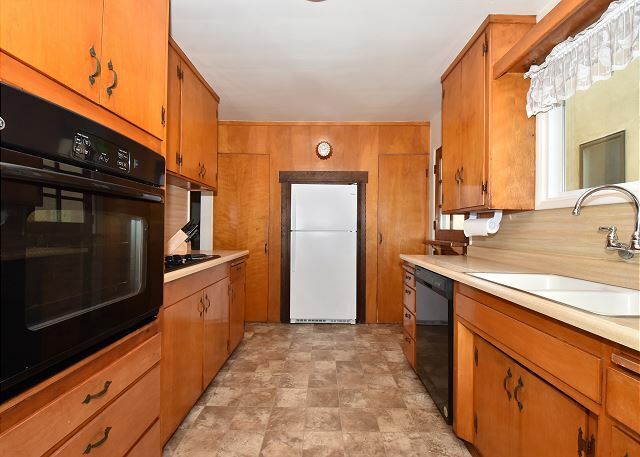 There is a laundromat a short distance away as this home does not have a washer/dryer on site. 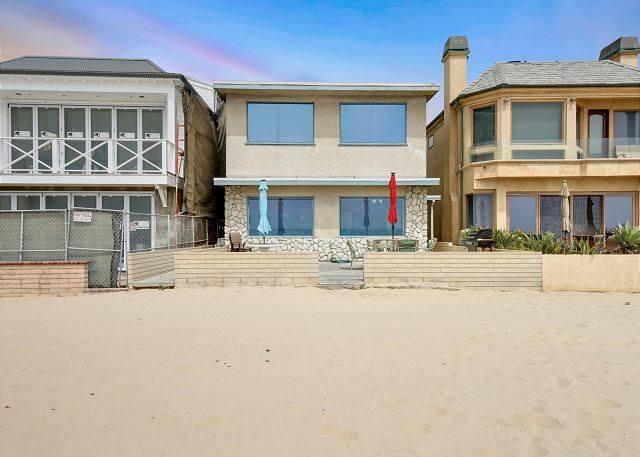 Very cozy home, right on the beach!